Details forthcoming on this annual convention hosted by Madison Legion Post 501. Refer back to this page on a regular basis as more information comes forward. Please click on the link below which takes you to the registration materials and schedules at the American Legion Department of Wisconsin website. Our convention is scheduled for the July 17 -21, 2019. Our convention is to be held again at the Marriott Hotel & Convention Center, Middleton, WI. Details on lodging, special rates, and additional, optional hotels, and daily meeting schedules will be forthcoming at the Dept. of WI American Legion website. Block out today your calendar for this important meeting. It’s a great time to network with Legionnaires, Auxiliary, SAL and Legion Riders from all over this great state. As in the past, there will be raffles, 50-50 on both Friday and Saturday, silent auctions, and some major items for bidding. Stay in touch as more information is developed. The above photo of Dr. Leland Judd, D.D.S. and Legionnaires Christine & William Robbins, is provided here in recognition for the support from the Clinic, Dentristry By Design, McFarland, WI, for his donation to the WI American Legion Dept. of WI Annual Convention, July, 2019. A lot of details for our sponsorship, in 2019, have yet to be determined and will be forthcoming in this website. Stay tuned. Supporting staff are needed to make our next convention a success. If you can donate an hour or more, please let us know. Just go to the "CONTACT US" tab above and forward to us your thoughts. We’d love to hear from you. Post 501 will need person power help, in the form of volunteer hours of work, to make our Convention a great success. You can be part of this! On July 10th, from 9am-12 Noon, we will need a dozen folks to come to our Post 501, here in Madison, to assemble the gift bags. It will take, from past experience, about two hours. Refreshments will be available for workers. Next, on Wednesday, July 17th, we will need to assemble a team of 6 - 8 to load out trucks/vans/large autos with the swag, flags, cameras, computers and what ever is needed, located in our Post 501, to move to the Marriott in Middleton. Plan on start load out at 0730 hours. 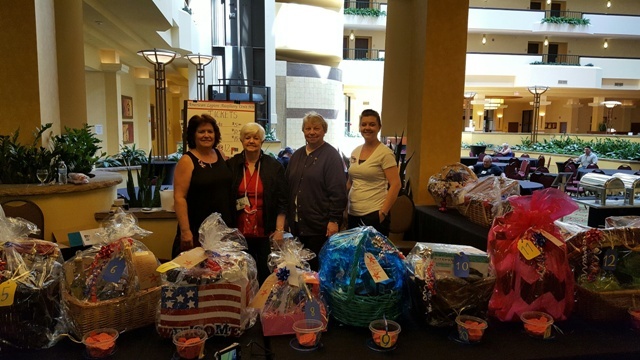 Includes travel the 20 miles from Post 501 location to the Marriott, unload all into the hotel, begin set up of registration section, vendor tables, and on and on. It will be a full day of effort altogether; however, if you can only work an hour or two in the AM at the Post 501 location, or only in the afternoon at the Marriott, we welcome your support for just what time you can provide. Next, on the three days of our Convention, we will need 2 - 4 folks to work as jacks of all trades, runners for messages, to back-up committed teams and operations as needed. In addition, on Thursday, July 18th, and Friday, 19th, especially, we will need persons to work the Registration desks, for the Legion, Auxiliary, SAL, and Legion Riders. Contact the Department of Wisconsin if you are interested in working the Registration booths, if only for a couple of hours on one or possibly either days. You can also contact us on our “CONTACT US” tab, found above. Just leave your name and email, and we’ll confirm your availability. The final need is again about a dozen able bodied folks to assist in the clean up on Sunday, July 21st, to clear out the vendor tables, take down the stage in the main auditorium, pack up flags and holders, move chairs, clean out the registration booths, and what ever. Work will begin late morning, so as not to disturb the closing ceremonies. We should be able to finish mid afternoon, if we get enough helpers. Again, if you only have time in the AM or PM, we still need your assistance. It is a good time to payback for all that your service has provided you. We look forward to working with you. Bottom line, we expect that there will be 800 to 900 participants to our (yours and mine) Convention. Lets all work together to make this the best Convention ever. Remember, what happens at the Convention in Middleton WI, in July 2019 anyway, stays at the Convention. See you there. Don’t miss it. You will also find on the Wisconsin Department website for further update and details. Just click on the link found on this website’s Legion Resources tab. 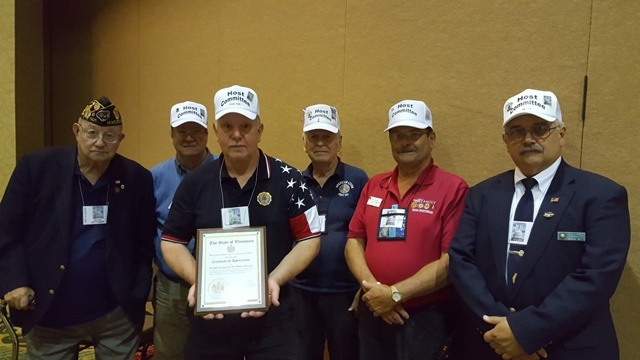 FOLLOWING INFORMATION AND PHOTOS ARE HISTORY OF THE 2016 ANNUAL WISCONSIN LEGION CONVENTION, HELD AT THE MARRIOTT HOTEL, MIDDLETON, WI. The following information summarizes the 2016 Annual Wisconsin Legion Convention as past history. It was a very successful event - the new Wisconsin Department officers have been elected and effectively installed, and the Legion business is firmly in hand. We move forward in facing the challenges the future years will offer. Thanks to all who provided the support to make this Convention a success. We of American Legion Post 501 look forward to meeting and exceeding the challenges in celebration of our 100 years of legion history in servicing our veteran families, at the next Annual Convention. We look forward to seeing you all there, standing tall.